Professor Pratchett said the southern reefs that escaped the bleaching are still in very good condition, but they are too far away to replenish reefs further north. 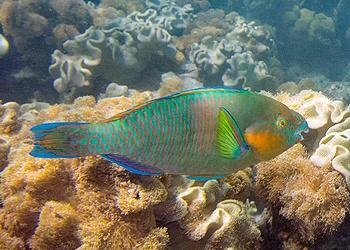 The world’s largest reef faces other issues, too. Recent north Queensland flooding and the mass outflows of polluted water onto the Great Barrier Reef have focused attention on the impact of water quality on the reef’s health. But new research from the ARC Centre of Excellence reveals that even if water quality is improved, that alone won’t be enough to save the Great Barrier Reef. Flooded Queensland rivers have dumped millions of liters of polluted water onto the reef, but until now the impact of these events on reef corals and marine life has been tough to assess. 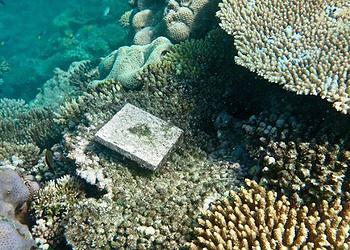 Using a combination of advanced satellite imaging and over 20 years of coral monitoring across the reef, a team of researchers from ARC Centre of Excellence, the University of Adelaide, and Canada’s Dalhousie University has found that chronic exposure to poor water quality is limiting the recovery rates of corals across wide swathes of the Great Barrier Reef. 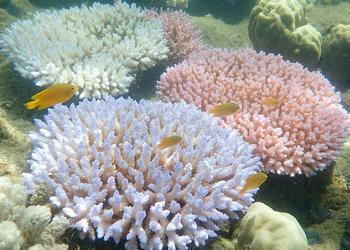 “We found the Great Barrier Reef is an ecosystem dominated by runoff pollution, which has greatly reduced the resilience of corals to multiple disturbances, particularly among inshore areas,” said lead author Dr. Aaron MacNeil of Dalhousie University. “These effects far outweigh other chronic disturbances, such as fishing, and exacerbate the damage done by crown-of-thorns starfish and coral disease,” MacNeil said. Poor water quality reduced the rates at which corals recover after disturbances by up to 25 percent, said MacNeil, who believes that by improving water quality, the rates of reef recovery can be enhanced. The findings provide strong support for government policies aimed at reducing nutrient pollution to help increase the resilience of the Great Barrier Reef, in recovering from damage due to tropical cyclones, crown-of-thorns outbreaks and coral bleaching. Yet the effects of water quality only go so far. Using a series of scenarios modeling future changes in climate and the likelihood of coral bleaching, the team found that no level of water quality improvement was able to maintain current levels of coral cover among the most scenic and valuable outer-shelf reefs that sustain much of the reef tourism industry. “What these results emphasize is that there is no silver bullet for addressing the threats facing the Great Barrier Reef,” said Dr. MacNeil. “Clearly reducing pollution in river runoff can have widespread, beneficial effects on reef corals and should continue to be supported. But for areas of the reef not impacted by water quality, our emphasis must be on mitigating carbon emissions to slow down climate change,” he said.